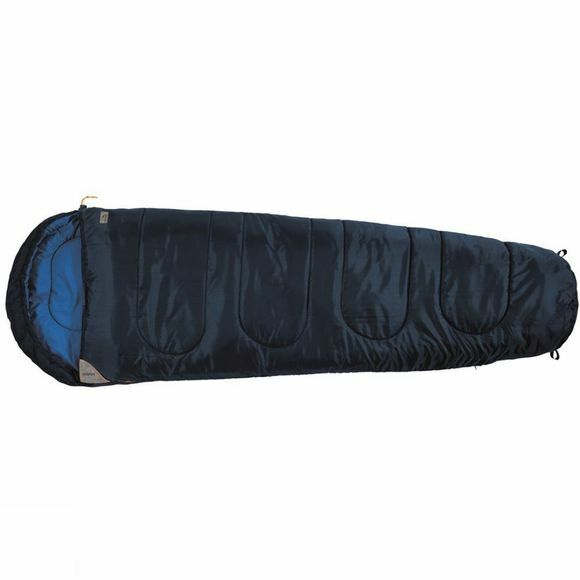 The Cosmos Sleeping Bag from Easy Camp is a 1-2 season, mummy shaped, synthetic sleeping bag. It offers comfort and warmth in a variety of camping scenarios. It can be zipped together with another Cosmos to create a double sized sleeping bag. With the fitted mummy shape and snug hood, you are sure to get a warm and comfortable nights sleep.